Page Street Publishing, 9781624147449, 176pp. Making dough for pretzels, pitas, flatbreads and more couldn’t get any easier—just combine Greek yogurt and self-rising flour, and you’re well on your way to snacking on Pesto-Parmesan Twists, Curried Potato and Pea Samosas, Cini-Mini Churros and Bacon, Fig and Gruyere Volcano Rolls. With 2-Ingredient Miracle Dough Cookbook, there’s no need to fuss with yeast or wait for dough to rise. 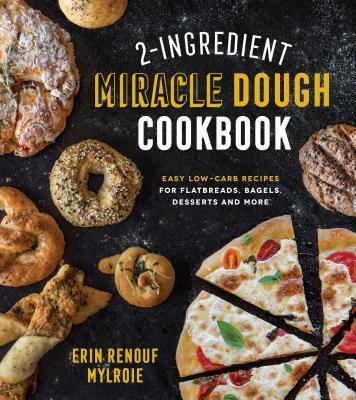 “Erin’s creative, easy-to-follow recipes yield mouth-watering, bakery-quality results. The fact that they are carb-conscious is just an added bonus!” —Valerie Phillips, blogger at Chew and Chat, author of Soup’s On!